Fill a large saucepan with 1/2 inch of water and bring to a boil. Cook asparagus until tender-crisp, about 5 minutes. Drain, then rinse with cold water. Return pan to the stove over medium heat, pour in oil, and swirl around pan. 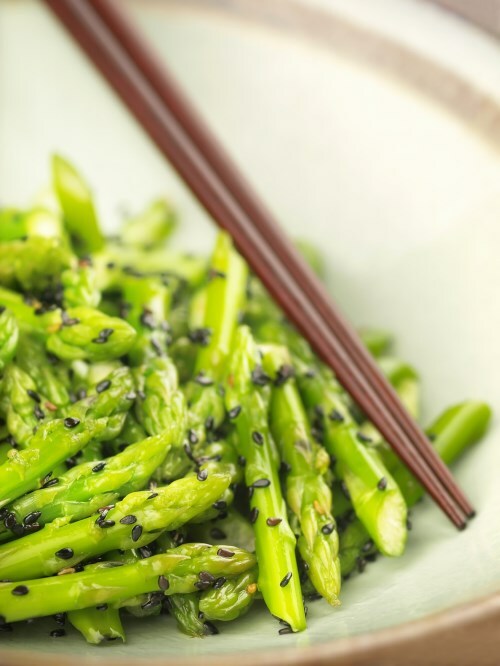 Shake excess water off of the asparagus, and toss in oil with sesame seeds, and salt to reheat. Optional: For extra sesame flavor, drizzle 1/2 tsp of sesame oil over the top of the asparagus after it is served.